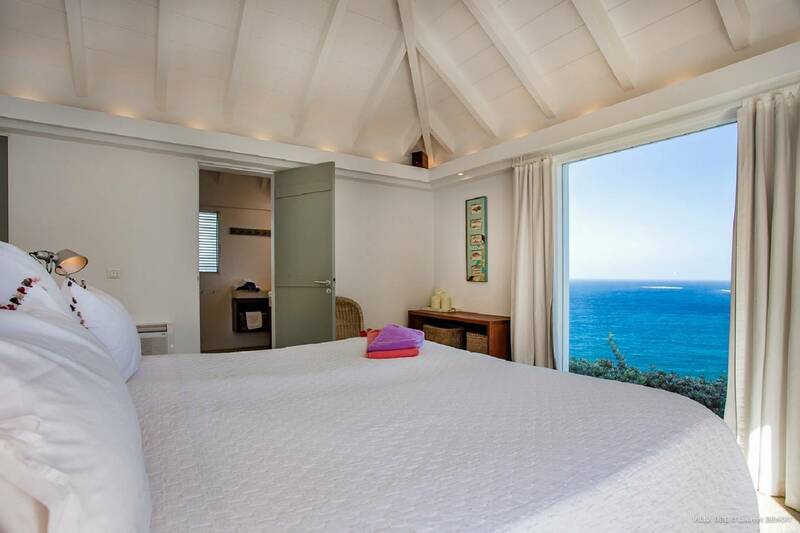 Dream About: A romantic getaway with a view of Pt. 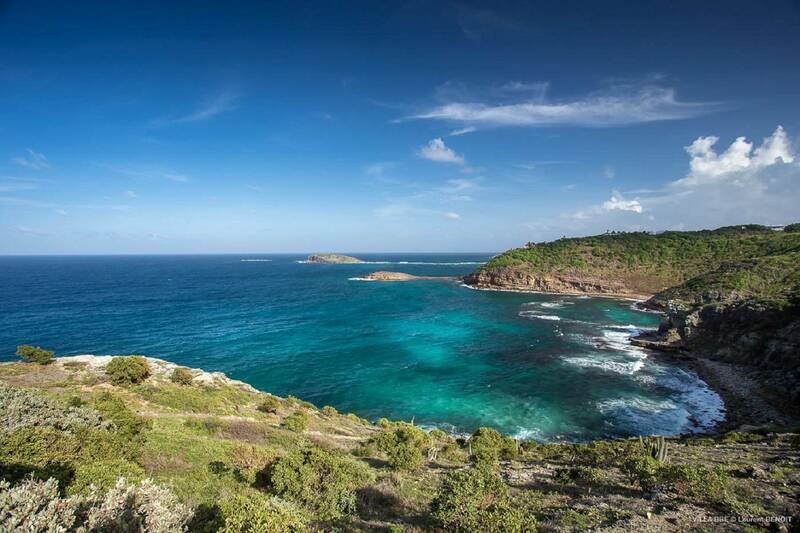 Milou’s craggy coastline and the ocean. 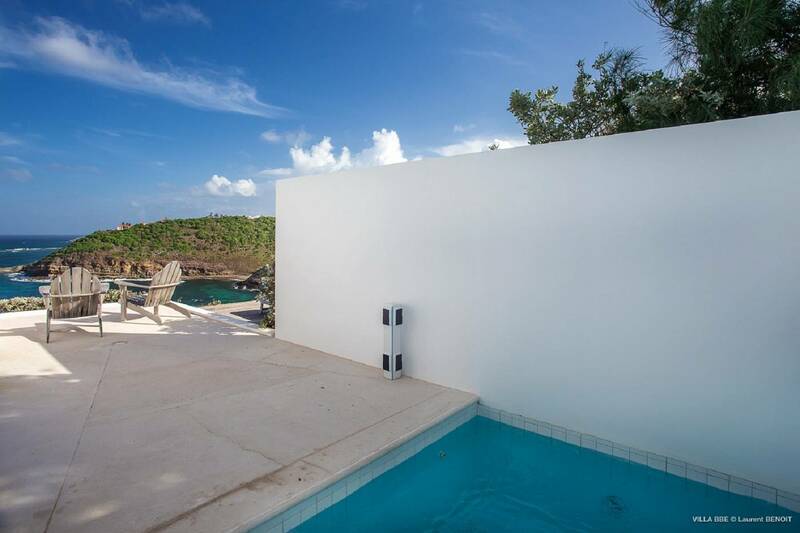 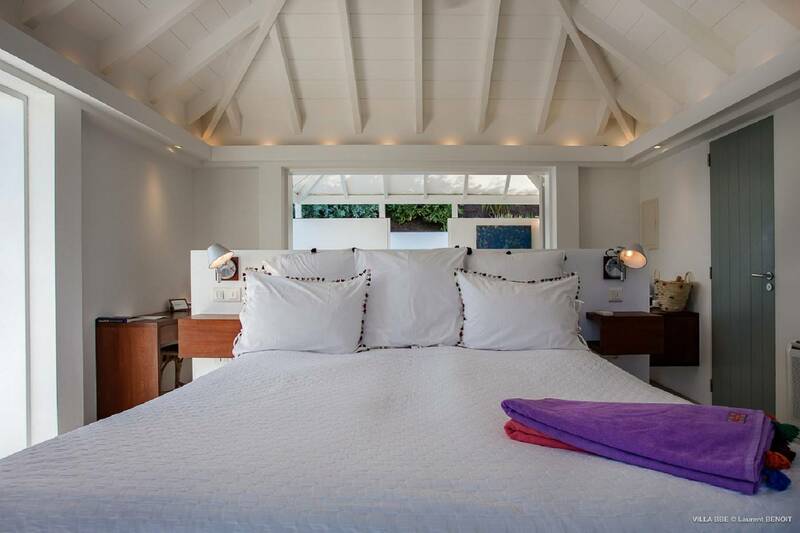 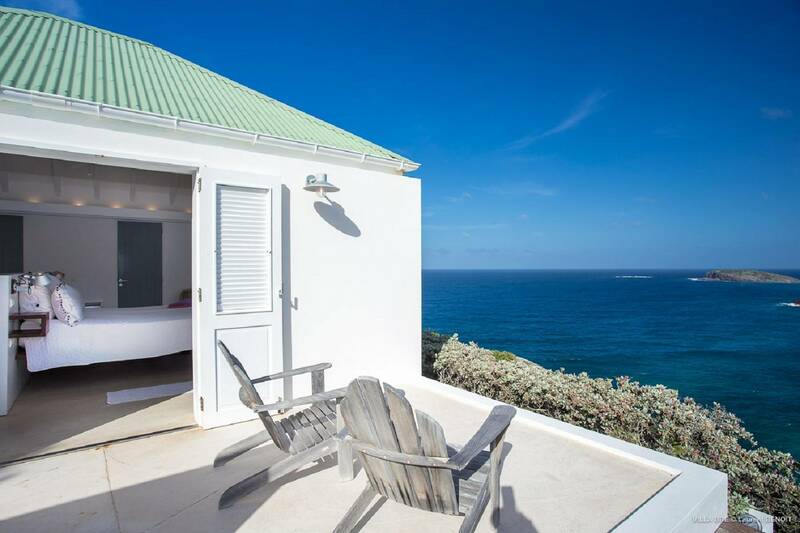 This sweet 1 bedroom villa is beautifully situated in gorgeous Pointe Milou. 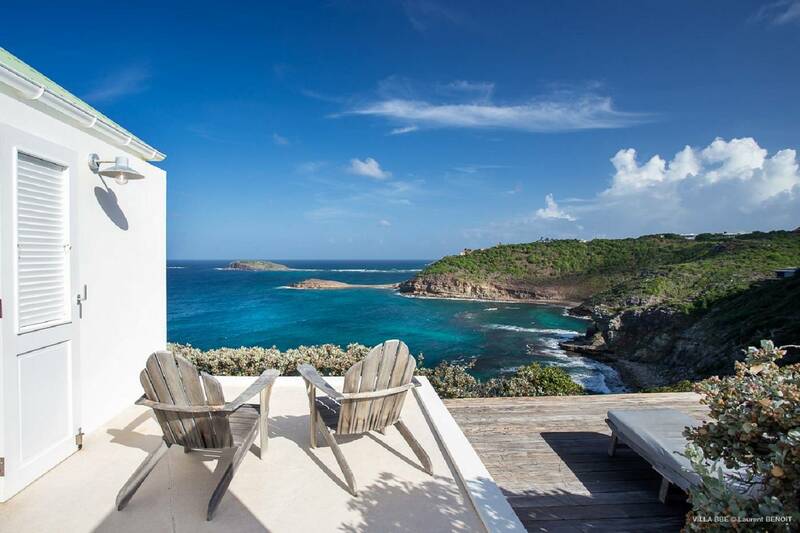 Guests have loads of opportunities to delight in the stunning seascape. 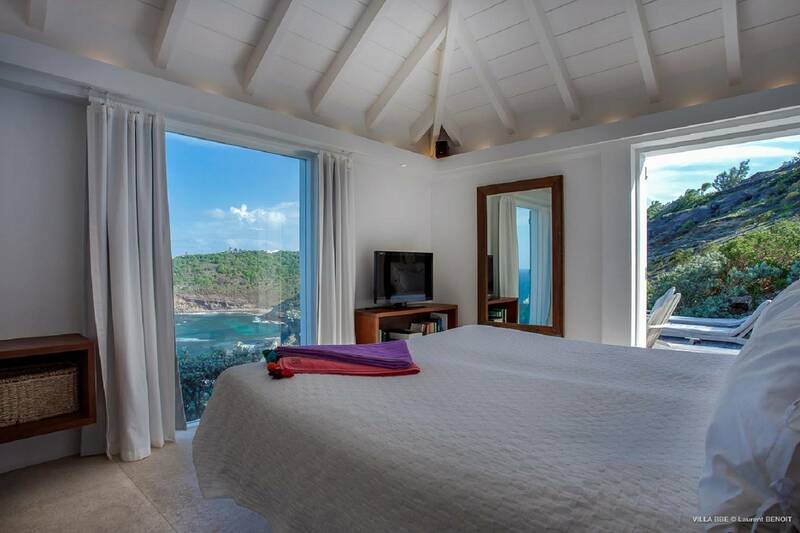 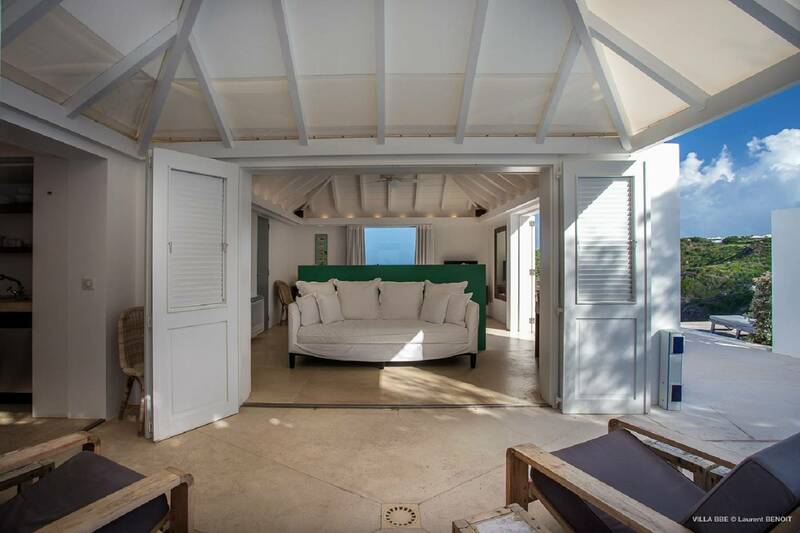 When they wake up in the morning, the bed faces the sea, sunning on the terrace and even brushing their teeth; the bathroom window frames the view. 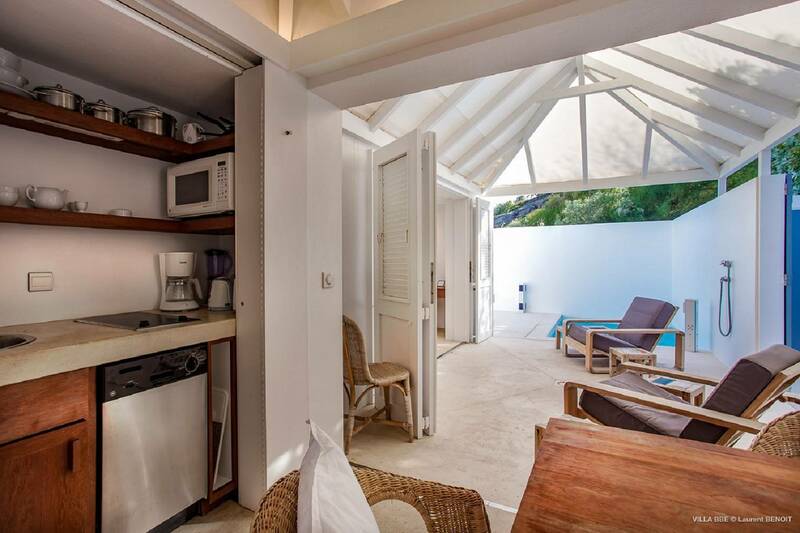 A well-appointed compact kitchen provides all one needs to cook-in and the outdoor living space includes a covered dining area and a plunge pool. 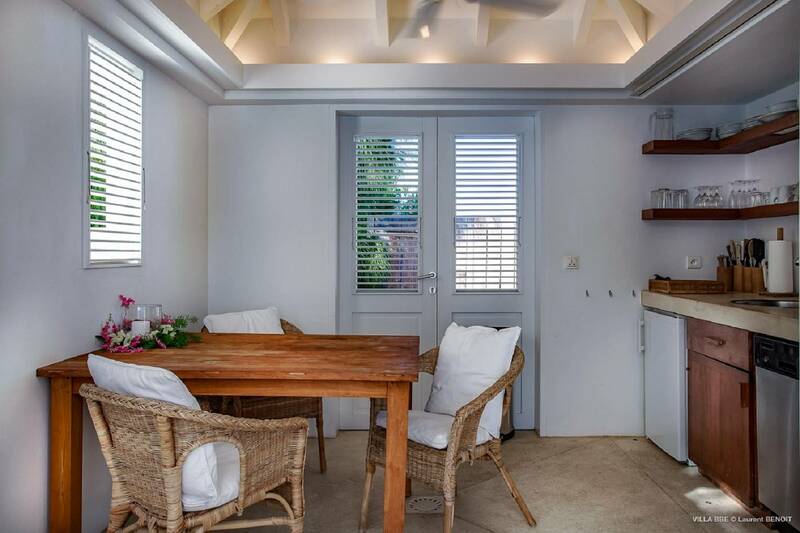 Ti Milou can be rented with two bedroom Villa Milou for a total of three bedrooms and extra living space. 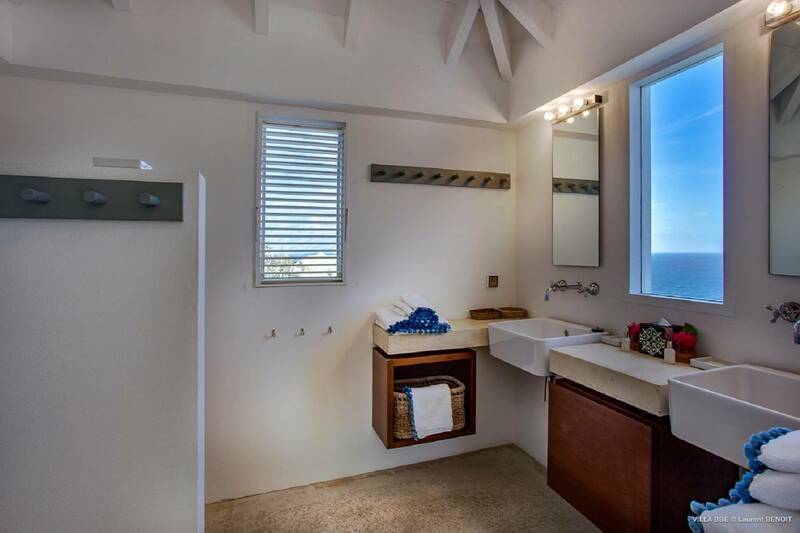 The bathroom with its window framing the view. 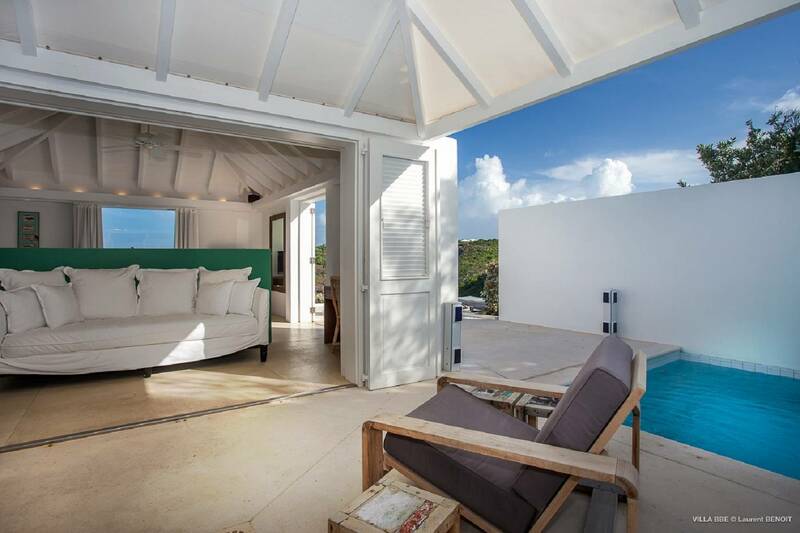 A 1 bedroom villa with a comfortable living room and compact kitchen. 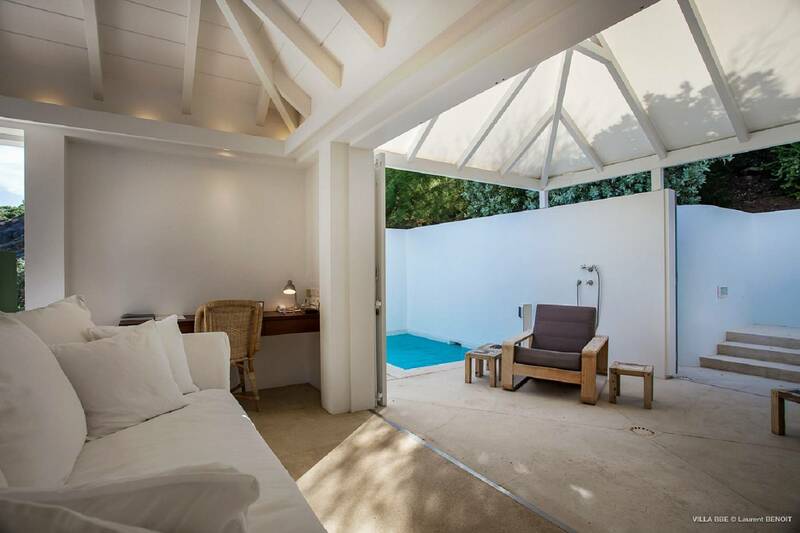 Outdoor living space includes a covered dining terrace and a plunge pool.